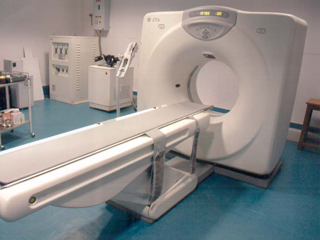 CT angiography is used to examine blood vessels and the organs supplied by them in various body parts. show the extent and severity of atherosclerosis in the coronary arteries and plan for a surgical operation, such as a coronary bypass and stenting. You may be asked not to eat or drink anything for a few hours beforehand, especially if a contrast material will be used in your exam. You should inform your physician of all medications you are taking and if you have any allergies. If you have a known allergy to contrast material, or “dye,” your doctor may prescribe medications (usually a steroid) to reduce the risk of an allergic reaction. These medications generally need to be taken 12 hours prior to administration of contrast material. To avoid unnecessary delays, contact your doctor before the exact time of your exam. CT exams are generally painless, fast and easy. If an intravenous contrast material is used, you will feel a pin prick when the needle is inserted into your vein. You will likely have a warm, flushed sensation during the injection of the contrast materials and a metallic taste in your mouth that lasts for at most a minute or two. You may experience a sensation like they have to urinate; however, this is actually a contrast effect and subsides quickly. Modern x-ray systems have very controlled x-ray beams and dose control methods to minimize stray (scatter) radiation. This ensures that those parts of a patient’s body not being imaged receive minimal radiation exposure. Every effort will be made to reduce radiation while performing CT angiography, including tailoring the scan parameters specifically to your body type and weight. The scanning area will also be limited to the area of interest to avoid unnecessary radiation to other body parts.